Now this isn't your run of the mill flatware. Oh no my good friends! First off each piece has a good weight to them. There is a 95% engraved into each piece (wonder what that means). The portion closest to the neck of the flatware resembles a Roman column and the tip resembles the top portion of the Fleur die Lis. You wont find these at Macy's or Horchow...at least I dont think so...I already tried to look for them. Well another post of GOOD WILL HUNTING! 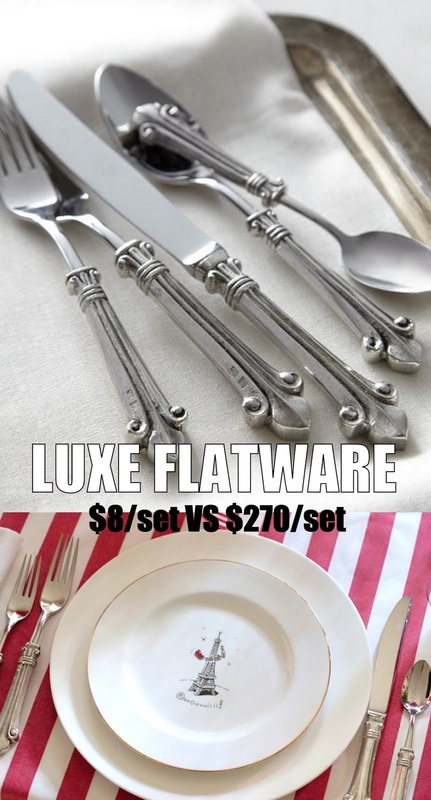 It has been almost 6 years since I posted about this flatware and I still have the flatware. Yes some of them are missing, but thats just life. 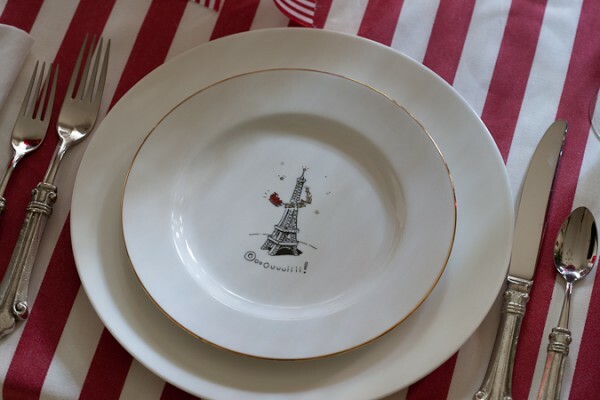 I want to update this post with a few photos as well as sources, just in case you want to grab this flatware yourself. Although I previously mentioned the flatware could not be found at Horchow, that no longer holds true. A very similar version is available and you can click HERE to take a look. 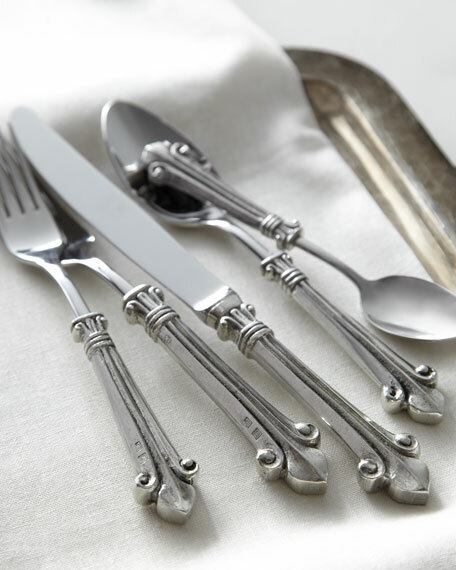 If you visit Houzz, you can also find this flatware HERE. When I was thrifting years ago, the prices were great and there weren't a lot of people blogging and bragging about the low prices. Since that time, the prices have gone up and the stores are OVERRUN with consumers trying to get a bargain and trying to get something thrifted. Although I don't thrift as much as I used to, I still find the find to pop in every now and then and score something amazing.